Helping you become a healthier you. We provide convenient, healthy meals that we put together on the spot for you. We can make up to 5 meals on the spot in store or if you're after more, you can order them online to pick up as quick as the next day. We also make a range of healthy, delicious sweets using more natural and wholesome ingredients available for purchase in store or online. Feeling thirsty too? 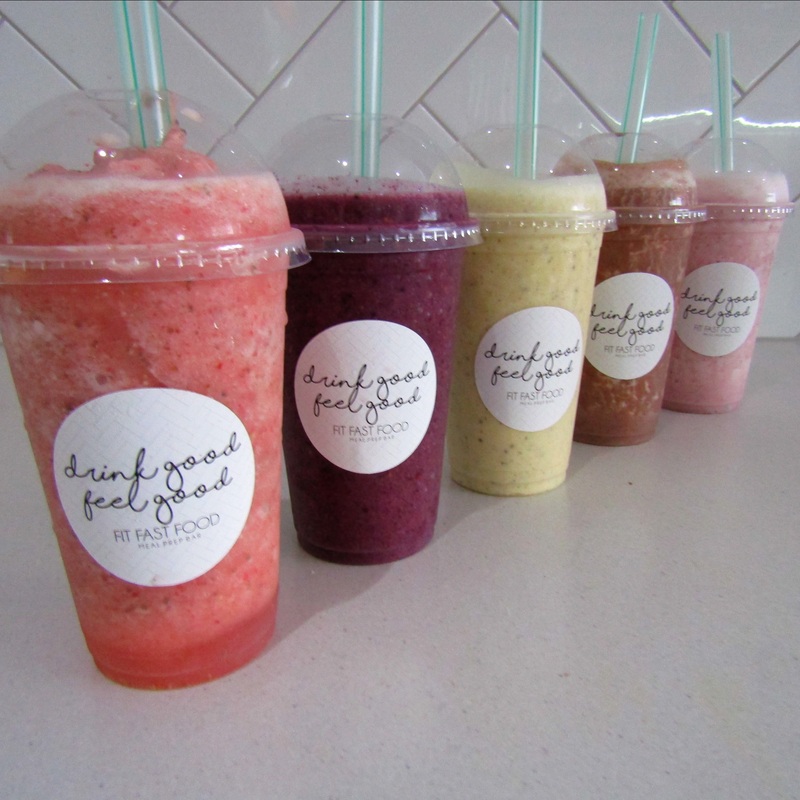 In store you can choose from our freshly blended protein and vegan smoothies as well as ethically sourced coffee and cold pressed juice. We have a range of milk options to choose from including almond, coconut, lactose free and soy. 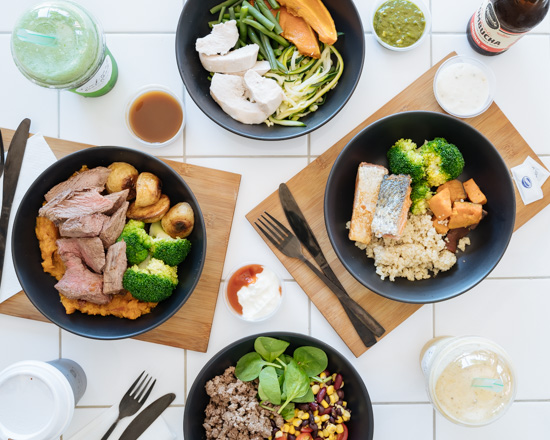 Fit Fast Food is conveniently located on High Street in Geelong, with easy parking and morning, lunch and dinner trading hours for when you're in need for some healthy, fresh food. 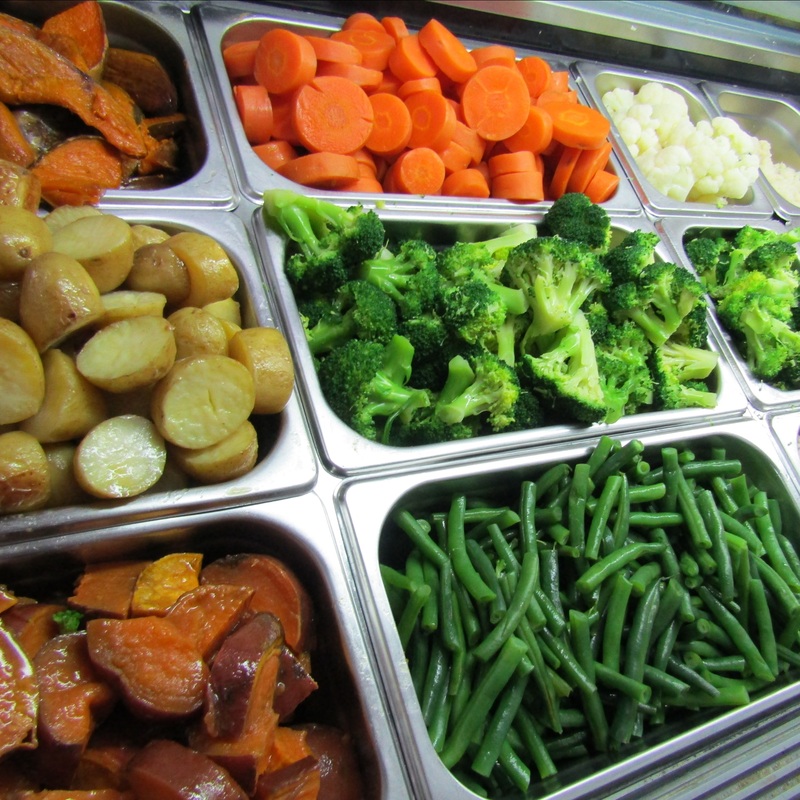 We have everything fresh and ready for you to make your meal. Choose your protein, base, vegetables and sauce. We'll put it together on the spot for you to eat in or take away. Summer is here and so are salads! 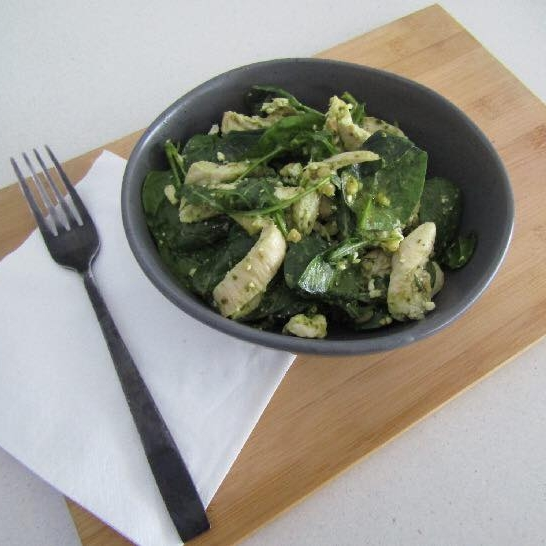 Made fresh in our kitchen every day, our salads are delicious, nutritious and packed with healthy ingredients. 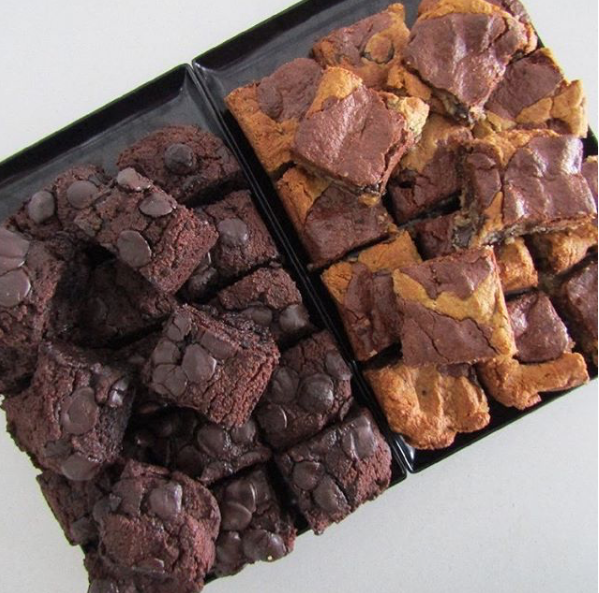 We have a range of gluten free, refined sugar free healthy sweets made in our kitchen including muffins, brownies, blondies, raw slice and protein alls. Our sweets are portion sized and made from more nutritious ingredients. 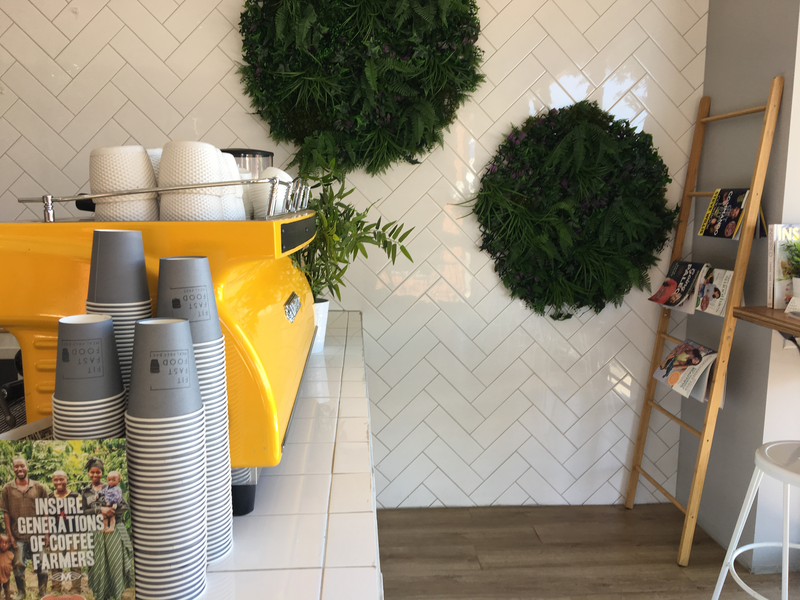 From local supplier Unbeanknown Coffee as well as Turmeric Lattes, Red Velvet Lattes and Matcha Lattes. We have a range of milk options including dairy, lactose free, almond, coconut and soy. Packed with fresh, nutritious and portion controlled ingredients, choose from protein smoothies or fruity (vegan) smoothies. Blended fresh in store! Healthy Cake Fridays are here! 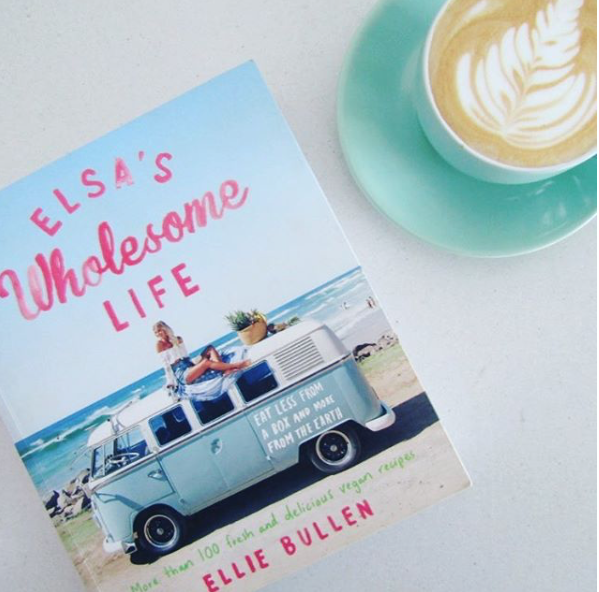 We have a range of raw, gluten free, dairy free, refined sugar free and vegan cakes made from healthy, more nutritious ingredients such as almond meal, coconut oil and chickpeas. 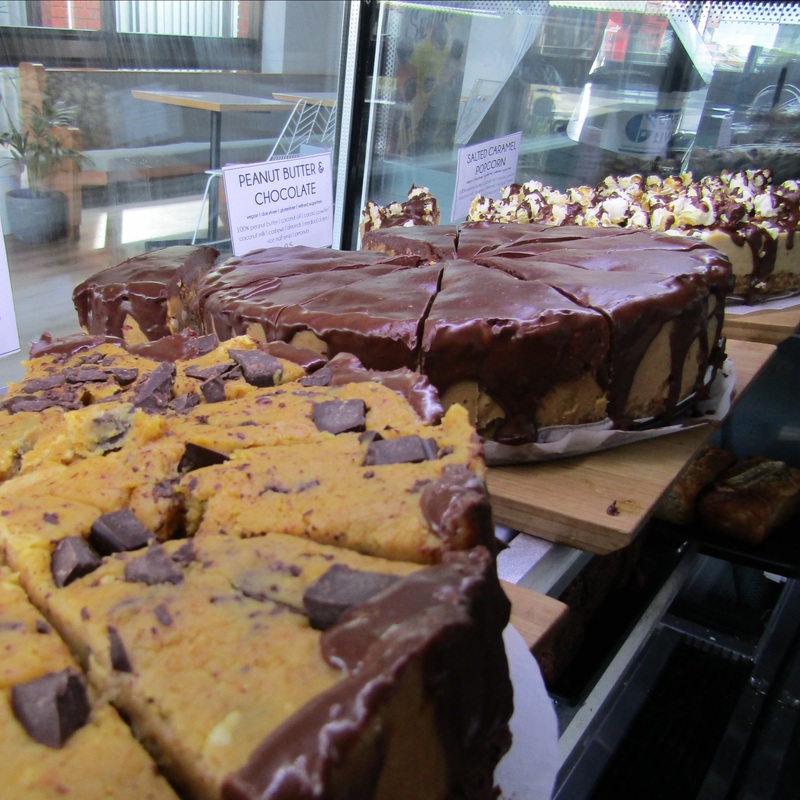 Our cakes are made in our kitchen and available from 12pm onwards on Friday's only. 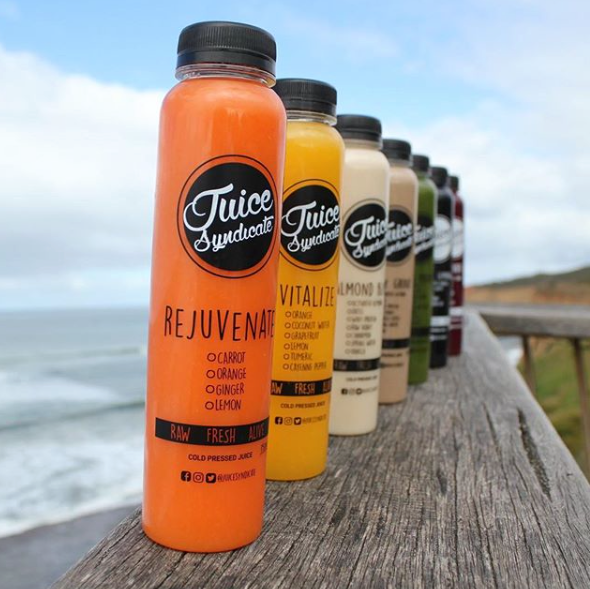 Our mates at Juice Syndicate are providing the goods with fresh, cold pressed juice made right here in Geelong. 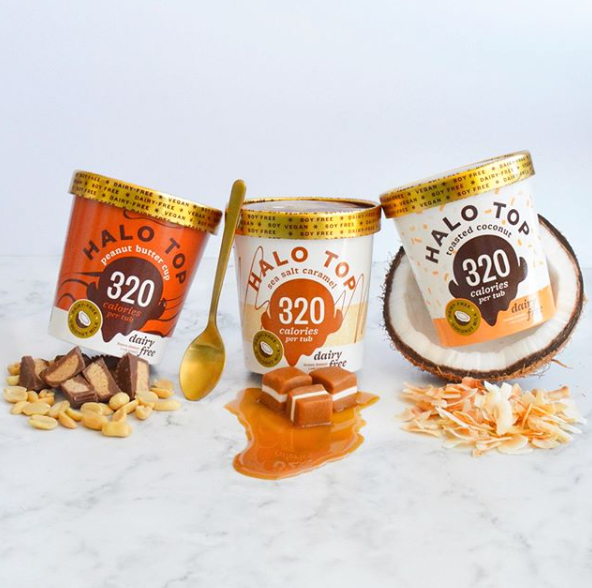 We stock a huge range of Halo Top flavours in store. From Peanut Butter Cup to Birthday Cake, Chocolate and Cookie Dough as well as dairy free Halo Top made with Coconut milk. 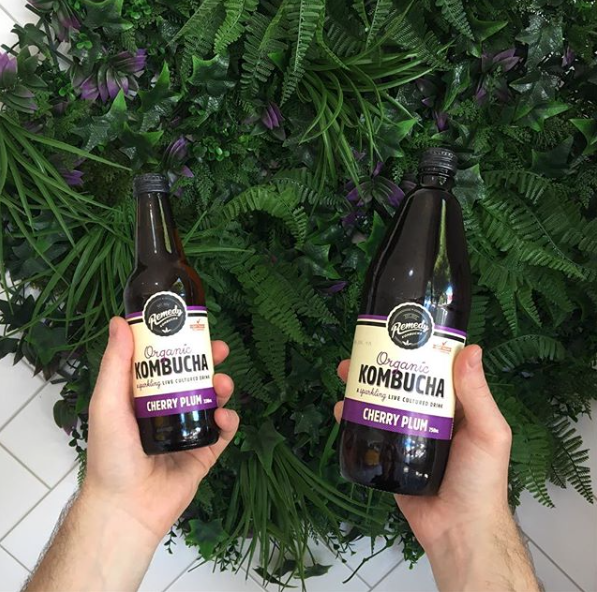 A delicious, fermented drink with killer flavour and great for gut health. Remedy have a range of flavours for everybody including Apple Crisp, Cherry Plum and the new Ginger Berry.